Do you like surprises? Do you enjoy good food and fellowship? 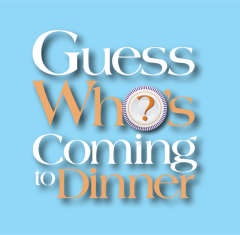 Well, “Guess Who’s Coming to Dinner” is just right for you! Here’s how it works: You may sign up to be a host or a guest. The host provides the main dish and a place to meet. Guests provide the rest of the meal, and everybody provides the fellowship. Only the host will know who is invited to their home for dinner—that’s the surprise! If you want to be a part of the fun and get to know people outside your normal circle here at Memorial, please fill in the form below. SIGN-UP DEADLINE IS SUNDAY, APRIL 14. If you have any questions, please contact Becky Mendis (314.426.5253). Hosts, if you would be able to have children at your home (either at the table or with a sitter), please call Becky Mendis (314.426.5253) to discuss.